This round walk takes you along wide tracks from the plateau to the depths of the valley through countryside in symbiosis with the AOC vineyards. 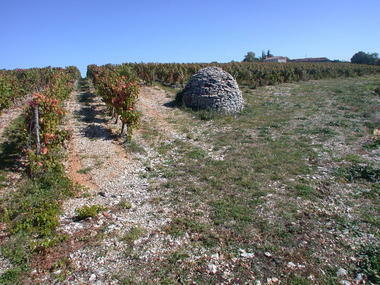 In the past, the majority of the Cahors vineyards were located on the limestone plateau about 300 m above the Lot river. A century or more ago, the least slope with a favourable exposition was covered with vines. Devastated by phylloxera at the end of the 19th C., nothing was found to replace these that would provide a living for the local small farmers. 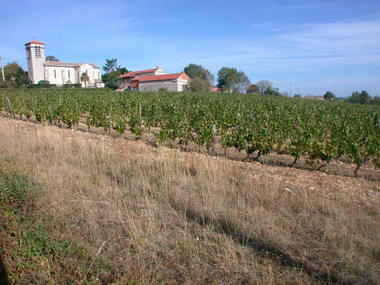 Nowadays, most of the vines are planted down in the Lot valley. The Causse remains less intensely cultivated, but the Cahors wines produced there are just as worthy of interest as ever.